How we understand, protect, and discharge our rights and responsibilities as citizens in a democratic society committed to the principle of political equality is intimately connected to the standards and behaviour of our media in general, and our news media in particular. However, the media does not just stand between the citizenry and their leaders, or indeed between citizens and each other. The media is often the site where individuals attempt to realise some of the most fundamental democratic liberties, including the right to free speech. 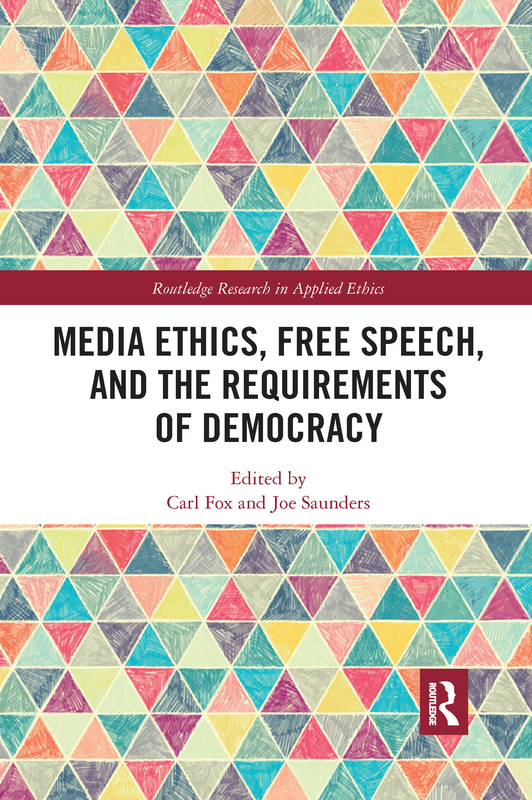 Media Ethics, Free Speech, and the Requirements of Democracy explores the conflict between the rights that people exercise in, and through, the modern media and the responsibilities that accrue on account of its awesome and increasing power. The individual chapters—written by leading scholars from the US, UK, and Australia—address several recent events and controversial developments in the media, including Brexit, the rise of Trump, Lynton Crosby, Charlie Hebdo, dog-whistle politics, fake news, and political correctness. This much-needed philosophical treatment is a welcome addition to the recent literature in media ethics. It will be of interest to scholars across political and social philosophy, applied ethics, media and communication studies, and political science who are interested in the important issues surrounding the media and free speech and democracy.